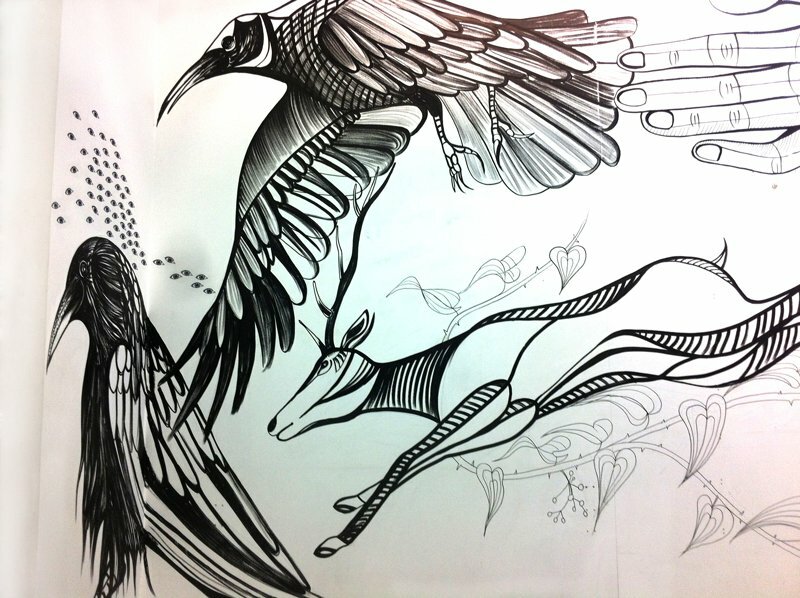 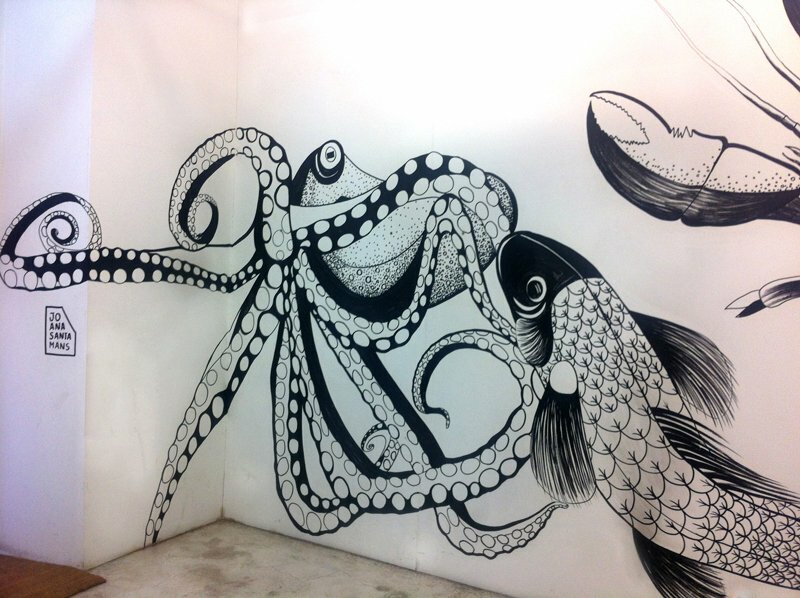 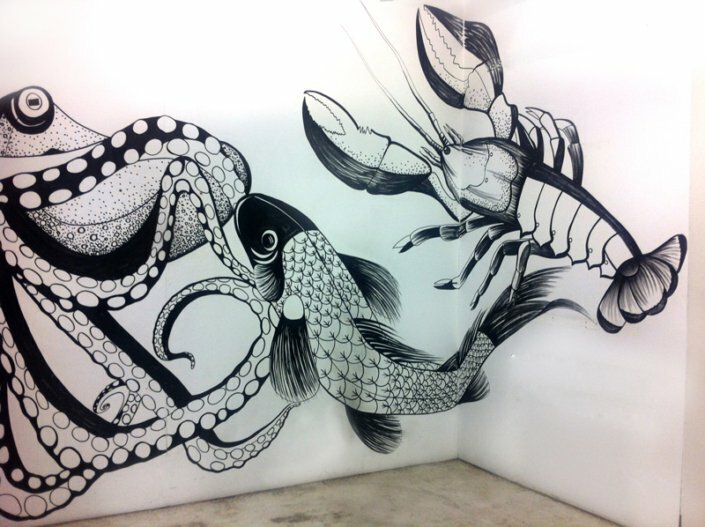 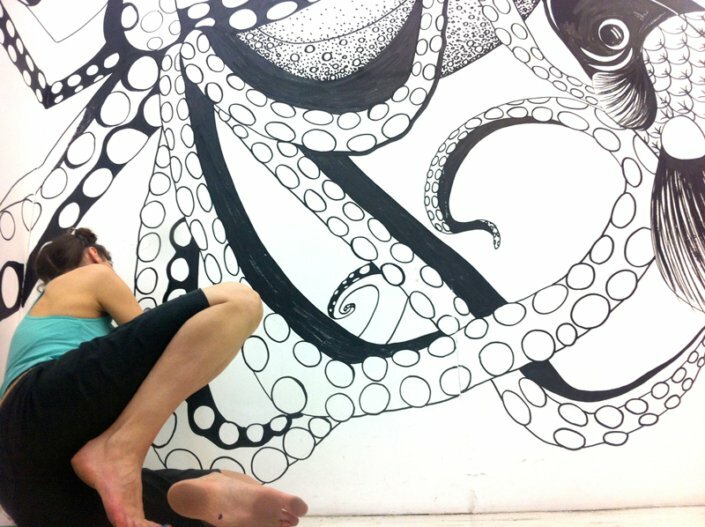 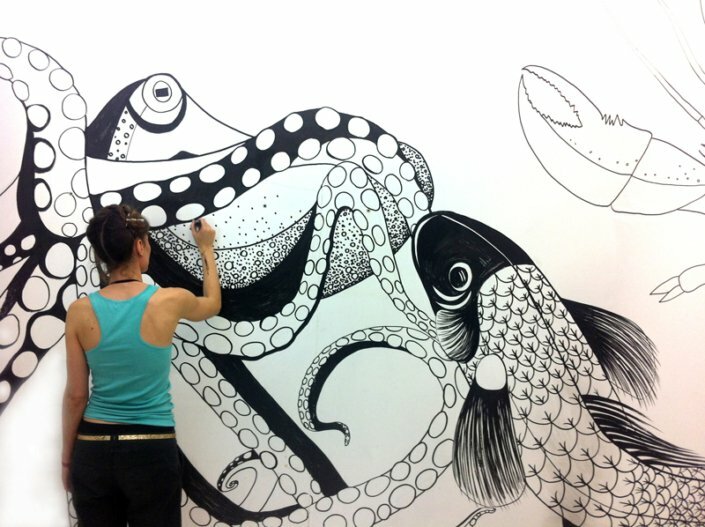 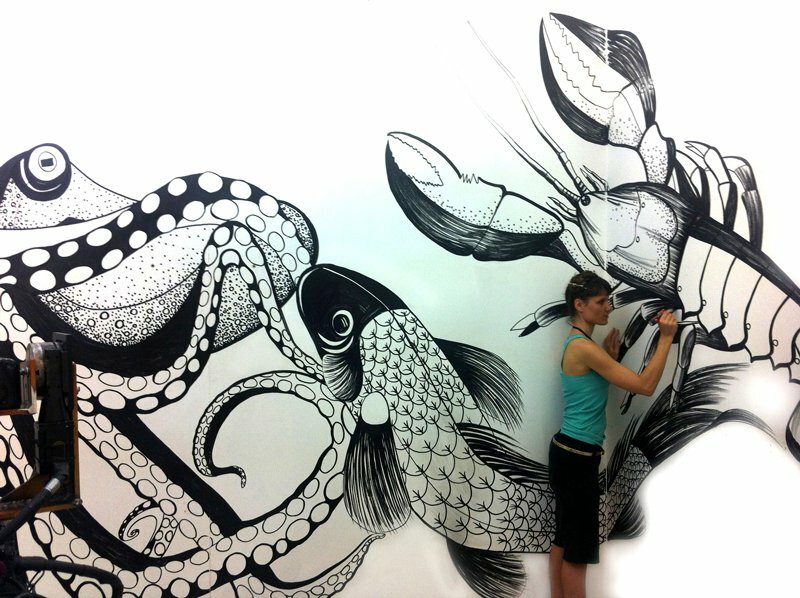 Mural intervention in the Blanco Studio showroom. 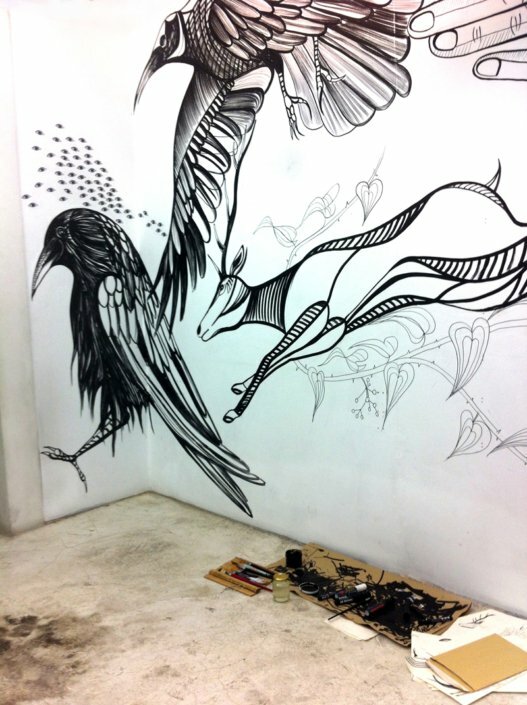 Intervenció mural en el showroom Blanco Studio. 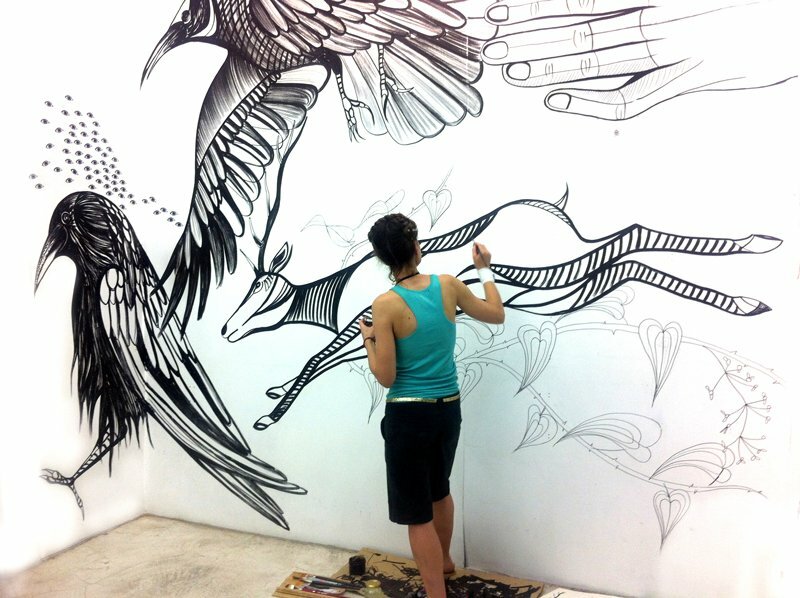 Intervención mural en el showroom Blanco Studio.